The Pie Academy is joined this week by some 160 new members and counting, most of them readers of this article in The New York Times, and one of whom sent me a crisp email inquiring just how the hell do I log in?, a sentiment – or at least a close relative of one – I suspect few of us have not experienced navigating the online world. I informed my new friend that you don’t actually log in to The Pie Academy, at least not yet. You simply stop by for a visit, like people used to do before computers. 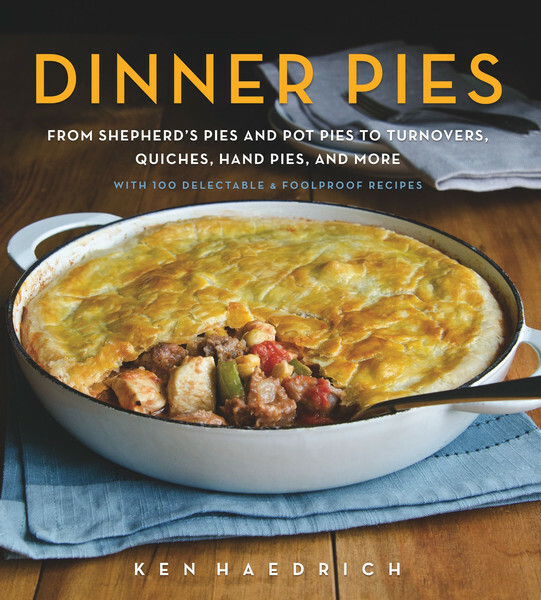 That, or you bide your time waiting around for my pie inspired emails, recipes, and posts, some of which should prove useful in your pursuit of good pie. That’s pretty much how it works around here. Incidentally, if you do want to visit, you just click on the blog tab above and scroll through my past offerings. Simple. Whether you’re one of my new readers – or you’ve been around since The Pie Academy launched last year but you’ve just fallen behind in your reading – I’ve put together this quick start guide to help you get or regain your bearings. I hope it helps. 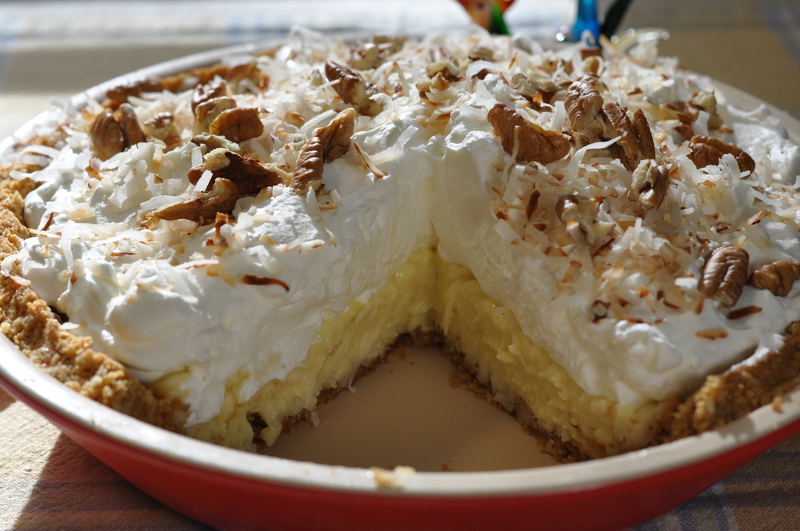 First and foremost – and you really need to believe this: YOU can make a fabulous pie. If you’re a relative pie newbie, fabulous means a pie that tastes great and has an acceptable amount of collateral damage – scorched crust, craters, mysterious outcroppings, and other learner’s dings. Ugly is fine; some of the best tasting pies I’ve ever made were the ugliest ones. 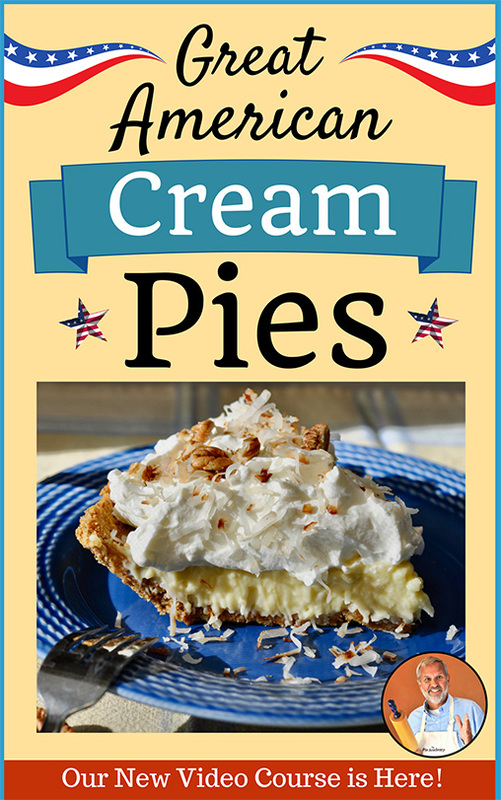 Through my books, articles, videos, live classes, and blog posts I’ve taught thousands of people how to bake a pie, and few of them had the skills, brains, and good looks that you do. 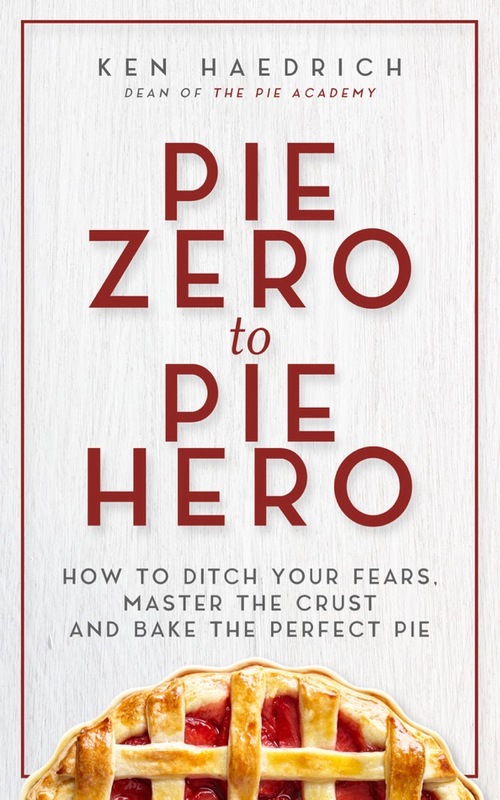 I know from the emails and feedback I get that many, many people arrive on the virtual front step of The Pie Academy confused, discouraged, or just plain defeated in the pie making arena. I can help. So pick yourself up, brush off the dust, and stick with me as I build The Pie Academy into The World’s #1 Online Pie Making School. Take this journey with me, and you’ll become a pie master. I promise. I Hoped to Build The Pie Academy into The World’s # 1 Online Pie Making School in Less Than a Year. I’m a Little Behind Schedule. My dad – my pie making mentor – used to say that everything in life takes twice as long and costs twice as much as you think. He was on to something. 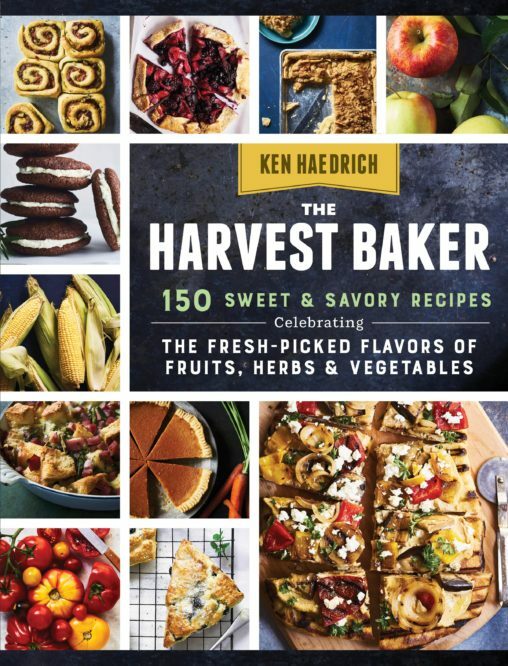 Creating and photographing recipes, shooting videos, and writing stories takes times. Not to mention learning the technical aspects of running a website, no mean feat for someone who has difficulty turning on a flashlight. All this, while still writing magazine articles and cookbooks, one recently completed and another in the works. 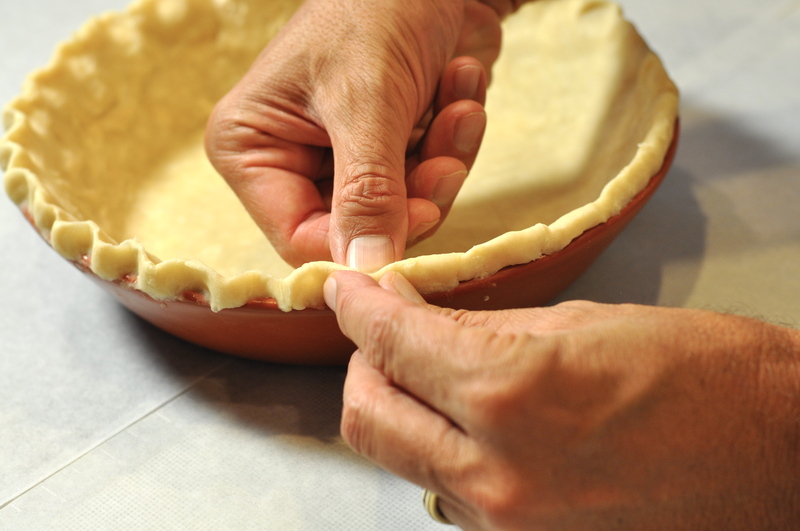 Regular readers will roll their eyes heavenward when they hear this, having heard it before, but my big project that’s moving (glacially) towards completion is a complete video course on making pie pastry. Just imagine the virtual me in the kitchen next to you, holding your hand, encouraging you and giving you direction, which many will find preferable to the actual me, since I’m pretty big and take up lots of space in most kitchens. 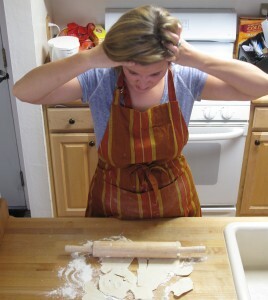 Meanwhile, I tend to keep sending readers to the same pie crust recipes time and again – the Food Processor Pie Dough or my Good Basic Pie Dough – which would be a much greater failing on my part except for the fact that the recipes are so good and dependable. Try them and let me know what you think. …and would love to see more of them. I plan to oblige. Apparently you’ve been most smitten with my video on how to keep your pie crust from burning, and you also liked the one I did on how to make a floating top pie and how to make a simple rolling pin cradle from a tea towel. None of them are exactly becoming viral sensations. But it pleases me to know that even if they’re less compelling to watch than a cat playing the piano, they are helping. I love to hear from my readers, period, but if you have suggestions for future videos I’d be extra glad to hear from you. So I’ll be working on that. For now, the best way to find something of interest is to simply scroll down through the blog posts and click on anything that strikes your fancy. I don’t know precisely what recipes have had the most appeal to my readers, in part because I’ve not yet opened up the comments under each post – something else I plan to do soon. 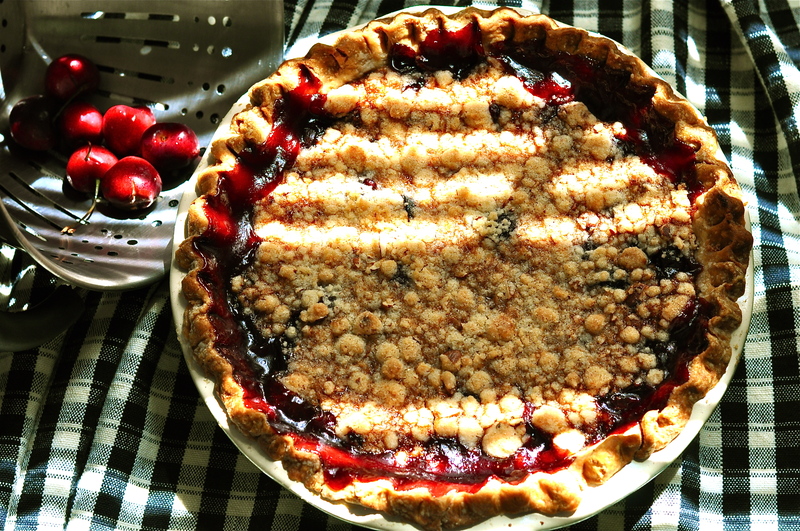 But again, based on your email feedback I know you’ve quite enjoyed the recipes for the Double Crust Blueberry Lime Pie, Fresh Cherry Crumb Pie, Joe Licata’s Coconut Cream Pie, and the recently posted Fresh Peach Crumb Pie – to name just a few. Even after a year, I feel – quite frankly – like I’m just getting off the ground. But every new person who joins fuels my determination to make this site be the best it possibly can – a place where anyone can learn to make great pies, both sweet and savory, enjoy the process and learn to take setbacks in stride. That’s one of the reasons I appreciate your emails and feedback so much. So keep it coming, and stay tuned for lots more helpful videos, killer recipes, product reviews, and fun. (Use the Contact tab at the top to send me an email.) And if you want even more background about my work as a food writer and The Pie Academy, you’ll find it here.